A 10-year-old boy was struck by an SUV that drove onto a basketball court at Rosenblum Park in Chicago's South Shore neighborhood, officials say. 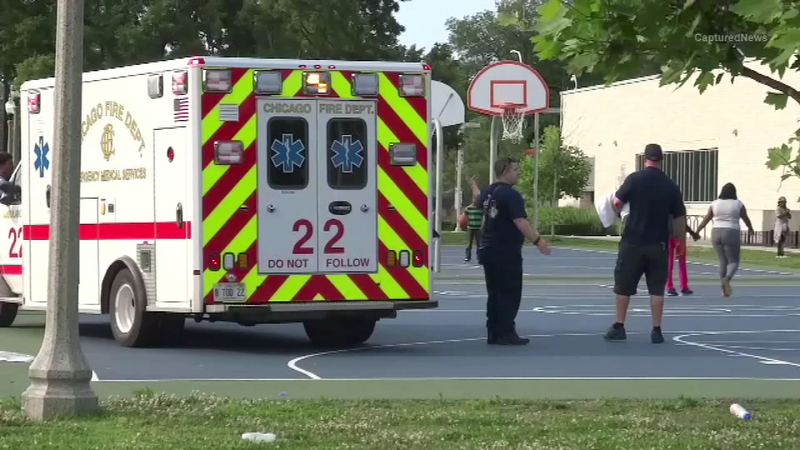 CHICAGO (WLS) -- A 10-year-old boy was struck by an SUV that drove onto a basketball court in the city's South Shore neighborhood, official say. The boy was hit around 5:30 p.m. Wednesday in Rosenblum Park in the 2000-block of E. 75th Street, according to the Chicago Fire Dept. He was transported to Comer Children's Hospital in serious but stable condition, officials said. Police say a "person of interest" is being questioned.